March 28, 2019 — Across the U.S., policymakers are scrambling to protect their communities from the effects of climate change. In January, Massachusetts Governor Charlie Baker proposed real-estate tax increases to fund dam and drainage system upgrades, which would help residents cope with future floods and storms. Meanwhile, a few months earlier, officials from several Florida counties agreed to work together to minimize the damage caused by rising sea levels. Adaptation efforts like these are crucial. Four in 10 Americans live in coastal areas. and this population will surge in the coming years. Sustained flooding can cripple homes and infrastructure like roads, bridges, subways and wastewater treatment plants. Policymakers have limited time and resources, so they should rely on the latest computer modeling and other technologies to identify and implement the most efficient adaptation strategies. Rising water levels have already wrought havoc across the country. From 2000 to 2015, coastal “sunny day flooding,” or flooding caused by high tides rather than storms, more than doubled on the Southeast’s Atlantic coast, according to the National Oceanic and Atmospheric Association. And it increased 75 percent on the Northeast’s coast. Climate change is also making storms more destructive and frequent by heating up ocean waters, increasing flooding. The United States experienced its most expensive hurricane season in history in 2017; storms caused more than $300 billion in damages. Flooding and other damage from Hurricane Harvey alone forced 37,000 Texans into shelters in September 2017. Last year, Hurricane Michael caused at least 45 deaths and more than $12 billion in losses. 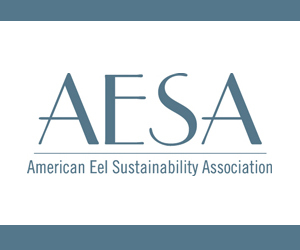 March 19, 2019 — Representatives of 14 companies from the municipality of Gloucester, Massachusetts met with the state’s governor, Charlie Baker, Lieutenant Governor Karyn Polito, U.S. Representative Seth Moulton, State Senate Minority Leader Bruce Tarr, and Gloucester Mayor on Monday, 18 March at Seafood Expo North America. The elected officials each took turns praising Gloucester and the quality of its seafood, and proclaimed their support for an industry that is estimated to employ about 100,000 workers and have an economic impact of around USD 2 billion (EUR 1.8 billion). “As somebody who has spent time in New Bedford, in Gloucester, and in a whole bunch of places in between, I am more than aware of the fact that this particular industry doesn’t just feed families by having them purchase the product that’s associated with what they deliver…it also feeds families who bring it to shore and ultimately get it to market,” Baker said. At the reception, Baker announced more than USD 116,000 (EUR 102,000) in grants for research projects intended to benefit the seafood industry in Massachusetts. The grants will study Massachusetts’ port infrastructure, consumer preferences for local seafood, and fishermen’s approach to traceability technology. The State Senate has approved a measure authored by Gloucester Senator Bruce Tarr, and championed by a bi-partisan coalition of state Senators, that will reform state lobster laws would permit licensed wholesale dealers to process unfrozen lobster parts, import unfrozen shell-on lobster parts, and allow for the sale of processed lobster parts. While the sale of live, cooked, canned lobster and tails is legal in the state, the law currently requires Massachusetts lobstermen and seafood vendors to sell or transport lobster out-of-state for processing for parts. This often means that Bay State lobsters are brought back for sale to consumers with a ‘Product of Canada’ label. Up to 80% of lobsters landed in the state are sent away for processing. 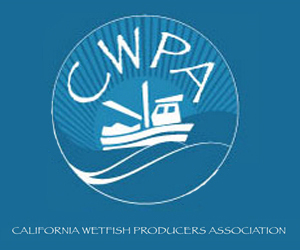 The legislation, adopted as part of S.2181, the Senate’s $144 million supplemental budget bill, mirrors similar language the Senate adopted last session, a move that government and industry experts say will remove constraints on consumer product options and give the multi-million dollar seafood industry capacity to grow. In January, Tarr filed Senate Docket 1, an Act Regulating the Processing of Lobsters, the first bill of the session. That bill is now before the Legislature’s Joint Committee on Environment, Natural Resources and Agriculture. A Division of Marine Fisheries report has recommended adoption of the proposal citing an evolving interest from consumers in value-added lobster in the form of shell-on tails and claws. The report says that the global market for Massachusetts landed lobster would be more readily accommodated with the new law. Shifting handling from Maine and Canada will boost the viability and prosperity of the industry which will result in job creation. “Easing archaic constraints on lobster processing operations will allow a thriving industry to further invest in our local economy through expanding operations and creating new jobs, especially in New Bedford. I am proud to be a partner on this bipartisan measure, and it is my hope the House will finally accept this provision in conference and get it on the Governor’s desk.” said Senator Montigny(D- New Bedford), the lead cosponsor of the legislation. Up to 80% of lobsters landed in the state are sent to out of state processing facilities and industry leaders say the move will facilitate opportunities to create and grow jobs in the state. 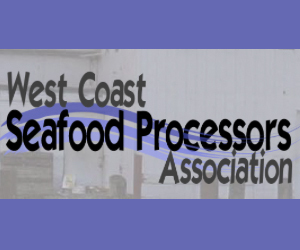 The Marine Fisheries report notes that the lobster demand has spiked and has continued to evolve in favor of processed lobster parts. The Senate’s supplemental budget bill will now be reconciled with the House’s version, which was also recently adopted. Once a final version is approved by both branches the bill will advance to Governor Charlie Baker’s desk. March 7, 2019 — New York recently set a long-term goal of generating 9,000 megawatts of energy from offshore wind power, while New Jersey plans to build 3,500 megawatts. But Massachusetts is seeking to produce just 1,600 megawatts, a target critics say is too modest. Some environmentalists had hoped that Governor Charlie Baker would announce a loftier goal Wednesday at a forum in Boston about the future of offshore wind power. Instead, Baker spoke more broadly about his administration’s efforts to bring the nation’s first large-scale offshore wind farm to the waters off Martha’s Vineyard, a project that could begin by year’s end. He also spoke about the promise of new battery technology that in a few years could make wind and other renewable energy reliable enough to replace fossil fuels. December 18, 2018 — Nearly 390,000 acres of prime ocean real estate are being auctioned off Thursday, with 19 bidders hoping to win a chance to establish the next major wind farm off the coast of Massachusetts. At the same time, a recent vote by the Rhode Island Fishermen’s Advisory Board to block a wind farm project by Vineyard Wind has raised questions about the future of offshore wind power. Over the next decade, Gov. Charlie Baker and his administration are expecting the state to receive more than 1,600 megawatts of offshore wind power. December 17, 2018 — A new report from the National Oceanic and Atmospheric Administration has highlighted the enormous impact of the fishing industry on the Massachusetts economy, with New Bedford topping the list of highest-value ports in the entire United States with a whopping $389 million worth of seafood landed in 2017. The report also highlights that fishing supports 87,000 jobs in the commonwealth, second nationally only to California, a much more populous state. This data could not come at a more critical time for New England’s fishermen, who are raising concerns about how new wind farms will impact marine life in the area. While reducing the state’s carbon footprint is a noble goal, the heavily taxpayer-subsidized wind projects have yet to prove themselves reliable and effective in the marketplace and come with a host of unanswered questions about the costs and long-term environmental outcome. December 14, 2018 — Gov. Charlie Baker expressed confidence on Thursday that offshore wind developers and fishermen in the Northeast will find a way to co-exist. “This is something we have to deal with on a regional basis and I believe we will,” Baker told reporters. His comments come as Rhode Island fishermen are raising objections to the state’s Vineyard Wind project and the federal government is auctioning off more ocean real estate. The Rhode Island Fishermen’s Advisory Board recently voted against the Vineyard Wind project in a move that could scuttle the state’s foray into offshore wind. November 29, 2018 — Rising temperatures and sea levels caused by climate change threaten a way of life along the New England coast, and the region’s tourism, agriculture and fishing industries are at risk from damaging storms and flooding, according to a new federal report. The report, produced by 13 federal agencies and more than 300 climate scientists, concludes the planet is getting warmer, human activity is contributing to it, and we are approaching a point of no return in terms of the damage to the climate. The government report details how that will hurt regions of the country. In the Northeast, the report projects temperatures to rise faster than the global average, or about 3.6 degrees Fahrenheit above pre-Industrial Age levels, by 2035. “This would be the largest increase in the contiguous United States and would occur as much as two decades before global average temperatures reach a similar milestone,” it said. Rising seas and storms will inundate seaside communities, eroding sections of coast at rates of 3.3 feet a year in the next century, according to the report. November 7, 2018 — Charlie Baker, governor of Massachusetts, US, has urged the federal government to avoid high-priority fishing areas when assigning leases for future wind farms, according to an article originally reported in the New Bedford Standard-Times and sent to Undercurrent News by NGO Saving Seafood. According to the article, governor Baker wrote to Ryan Zinke, secretary of the interior on Nov. 1, requesting that areas such as the New York Bight, south of Long Island, be exempted from future wind farm leases on the grounds that development could disrupt a multi-million dollar fishery. 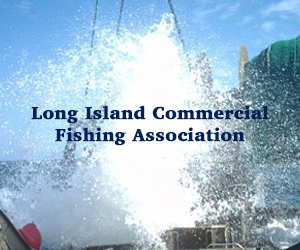 “Some of the areas under consideration for leasing represent very productive and high-value grounds for fishermen from Massachusetts and other states,” Baker wrote in the letter. 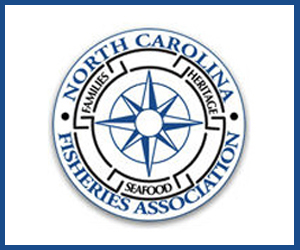 The areas being evaluated by the Bureau of Ocean Energy Management (BOEM) for a future wind farm are believed to have generated $344 million for the region’s fishing sector from 2012 to 2016, according to statistics from the National Marine Fisheries Service. 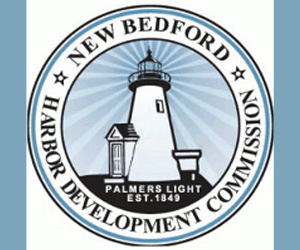 According to the article, fishermen and officials from New Bedford, MA, met with BOEM in September, when they expressed their concerns at the new developments. According to one, 40-50% of the scalloping grounds fished by local scallopers would be within the proposed developmental areas. November 5, 2018 — Gov. Charlie Baker wrote to Secretary of the Interior Ryan Zinke on Thursday to ask him to consider eliminating the highest-priority fishing areas from future leases for offshore wind, particularly in the New York Bight, a heavily fished area south of Long Island. The Bureau of Ocean Energy Management has begun evaluating potential locations in the New York Bight for wind. 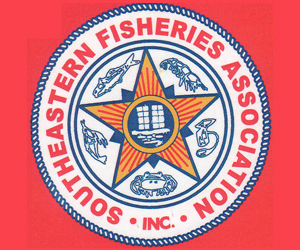 “Some of the areas under consideration for leasing represent very productive and high-value grounds for fishermen from Massachusetts and other states,” Baker said in the letter. 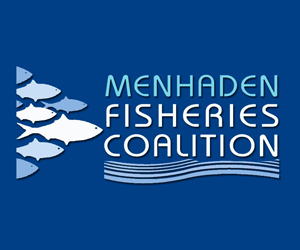 He cited an assessment of fish landings earlier this year by the National Marine Fisheries Service and the New England and Mid-Atlantic Fishery Management Councils that calculated the value of fishing within the proposed areas at more than $344 million from 2012 to 2016. “Views of the fishing industry must be valued, which has been fundamental to the successful process in Massachusetts,” he said. New Bedford fishermen and city officials expressed serious concerns about the New York locations in a meeting with BOEM in September. At the time, vessel owner Eric Hansen said 40 to 50 percent of the scalloping grounds fished by New Bedford scallopers are within that area.